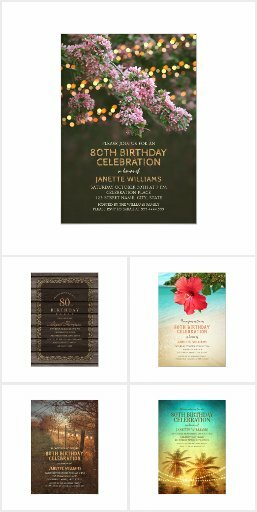 Golden Lace 80th Birthday Invitations - Elegant Luxury Invitation Templates - Personalized Online! Golden Lace 80th Birthday Invitations – Elegant Luxury Cards. Unique luxury birthday party invitations. Feature a beautiful rustic golden (effect) lace and a unique stylish typography. A creative invitation perfect for rustic country themed, or other birthday celebrations. This elegant birthday party invitation is fully customized. Just add your birthday party details (including age). Start with ordering your first sample. Golden Lace 80th Birthday Invitations – Elegant Luxury Invitation Templates. Unique luxury birthday party invitations. Feature a beautiful rustic golden (effect) lace and a unique stylish typography. A creative invitation perfect for rustic country themed, or other birthday celebrations. This elegant birthday party invitation is fully customized. Just add your birthday party details (including age). Start with ordering your first sample.